Introducing a total benefits solution that includes a full suite of ACA compliant benefits including major medical, dental, vision, life, disability, retirement and HRA plans, all managed through one platform! Since 2009, over 500 ABC members have adopted The Contractors Plan to assist them with their Davis-Bacon, prevailing wage compliance and retirement plan needs. Now we've teamed up with ABC to broaden the scope of our product offering and now offer a total benefits solution uniquely designed for construction contractors. Available to all ABC contractor members regardless of the type of work they perform, with features and benefits that will support the entire spectrum of employee benefits. Sold and serviced through a national network of local brokers and agents. Many of the ABC broker members are already contracted to sell The Contractors Plan and more are signing up every day. As of January 1, 2016, contractors with 50 or more full time equivalent employees are subject to the employer mandate under the ACA. This causes them to incur tax penalties if they do not comply. If they do comply, it creates alot of additional work. The coverage itself can be a large expense, but the time and expense it takes to manage the benefit plans is significant especially when most benefit plans are not designed with the hourly worker in mind. Contractors may also have additional benefits that all require a lot of work to manage, such as the ones listed below. 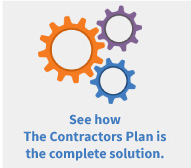 The Contractors Plan makes it easy to design a flexible solution that reduces a contractor's work load and keeps them compliant with the Affordable Care Act and other local, state and federal laws. 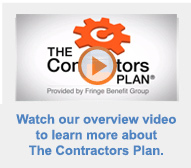 The Contractors Plan has created a series of informative videos highlighting various parts of our program. These include Hour Banking, the Loan Program, Online Portal, Compliance Support, and more. It's a quick way to learn alot about our Complete Solution and how with The Contractors Plan, it all works together. www.thecontractorsplan.com and click on our Complete Solution tab. 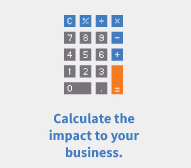 Fringe Benefit Group is a Strategic Partner with ABC for Compliance and Ethics. For more than 30 years, Fringe Benefit Group (FBG) has designed programs including The Contractors Plan that simplify the benefits administration process and help companies with one of ABC's core values—ethics and compliance. ABC supports its members in complying with government regulations and keeps them up to date on important compliance information. Now as a national strategic partner of ABC, Fringe Benefit Group leverages its resources to help ABC and ABC's more than 70 chapters reinforce this core value. Learn more about FBG's compliance and ethics support for ABC.